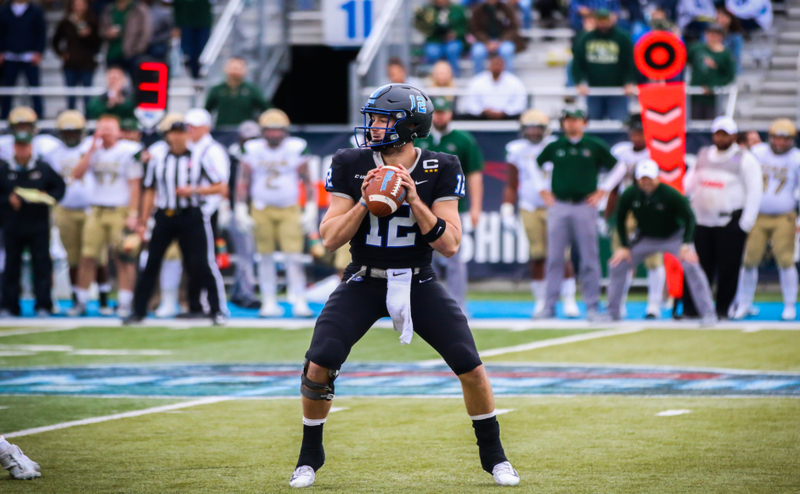 Middle Tennessee will kick off their 2017 season on television Saturday night with a Southeastern Conference opponent they are all to0 familiar with, the Vanderbilt Commodores. 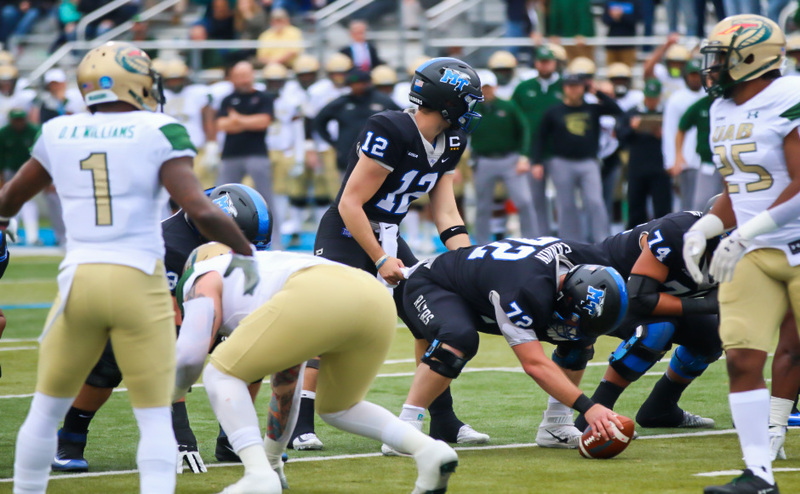 Over the past two seasons, the ‘Dores have gotten the better of the Blue Raiders. In 2015, Vanderbilt squeaked by the Raiders late in the fourth quarter by a score of 17-13 at Floyd Stadium, unlike the high-scoring match-up last season at Vanderbilt that saw the Commodores win by a score of 47-24. This is the 18th meeting between the two schools, with Vandy owning a commanding 14-3 lead in the all-time series. The Blue Raiders last defeated the Commodores in the Jay Cutler days, winning by a score of 17-15 in 2005. 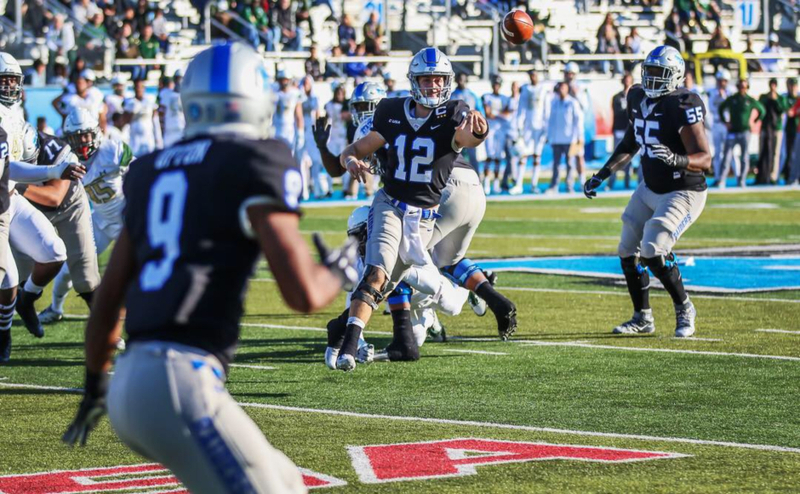 The Blue Raiders are currently riding a four-game win streak in season openers, while Vanderbilt is currently in a five-game skid when opening their season. Vanderbilt finished 6-7 last season, putting them in fifth place in the final SEC eastern division standings and landing them in the Independence bowl, where they fell to South Carolina by a score of 41-17. With the retention of an NFL first-round talent in running back Ralph Webb and a season in which they defeated teams such as the Georgia Bulldogs and Tennessee Volunteers, head coach Derek Mason’s Commodores look to be a competitive football team in the SEC this year. The biggest player to watch out for on the Vanderbilt roster is one that has inflicted lots of pain into the hearts of Blue Raider defenders over the past few years: Ralph Webb. In 2016, Webb rushed for a career-best 211 yards and two touchdowns against the Blue Raiders, enough to account for nearly two-thirds of Vanderbilt’s offensive production that night. The school’s all-time leading rusher amassed a total of 155 yards to pair with a touchdown against the Blue Raiders in 2015, bringing his two year total to 366 yards and three touchdowns on 54 carries. To put it into perspective how critical Webb is to the Commodores success against the Raiders, Vanderbilt has only thrown 59 passes in the two most recent meetings of the rival squads. On the defensive side of the ball, the ‘Dores will lean on their senior-laden secondary to carry them, along with talented linebacker Oren Burks. Burks has been tasked with trying to replace the talented Zach Cunningham (who had 10 tackles last year against MT) at inside linebacker. Originally an outside linebacker/defensive end hybrid, Burks talent was recognized this summer. The Virginia native was named to the Butkus Award watch list (presented annually to the nation’s top linebacker) and was also named preseason third-team All-SEC. Vanderbilt only threw for a total of 113 yards last season against the Raiders and their bread and butter is to run the football. If Middle Tennessee can send bodies into the backfield after Webb, it should create problems for him and a Vanderbilt offensive line that is without any senior players. Richie James has shown in the past that he can be just as an electric player against Vanderbilt as he can against anybody. In 2016, James caught 14 passes for a total of 183 yards and one score to pair with his 2015 performance against the ‘Dores where he reeled in another eight receptions for 95 yards. 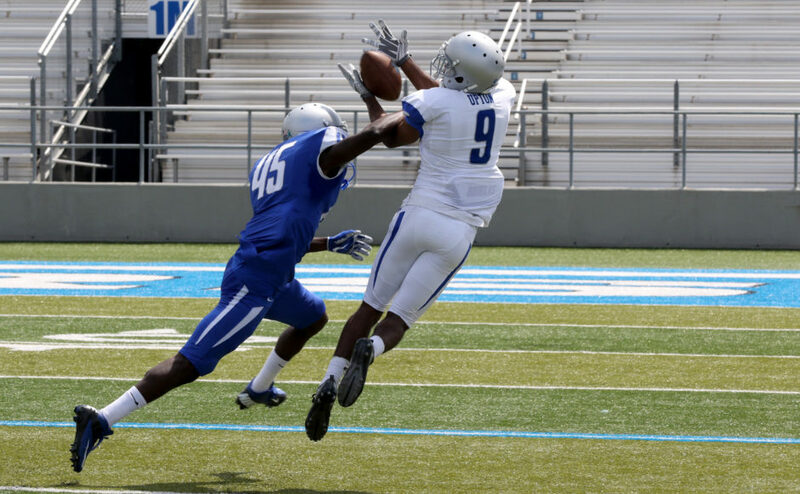 James’ ability to make plays will open things up for the rest of the Blue Raider receiving corp and help get the Blue Raider running game established. They always say the third times the charm, especially if you’ve already had success in your first two attempts. If the Commodores can get a game from Webb like they have seen in the past against Middle Tennessee, expect it to be a long night for the Blue Raider faithful. Richie James, Ty Lee, Jocquez Bruce, CJ Windham and company will join quarterback Brent Stockstill to round of one of the best passing games in college football. 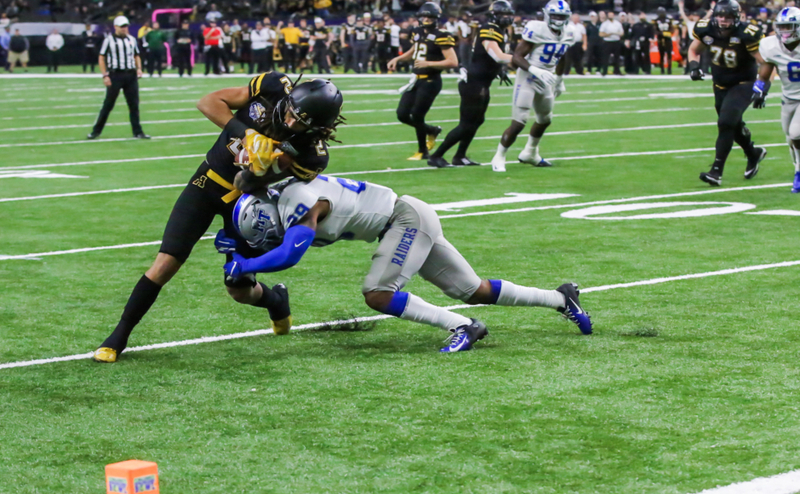 Vanderbilt’s experienced group of defensive backs will need to do a good job of tackling and staying with the receivers step-by-step to limit big plays and force Middle Tennessee’s heavily inexperienced ground game to try to beat them. If you’re looking for a game to watch while Alabama and Florida State have a break, switch the channel over to CBS Sports Network to witness two of the top programs from the state of Tennessee go to war.